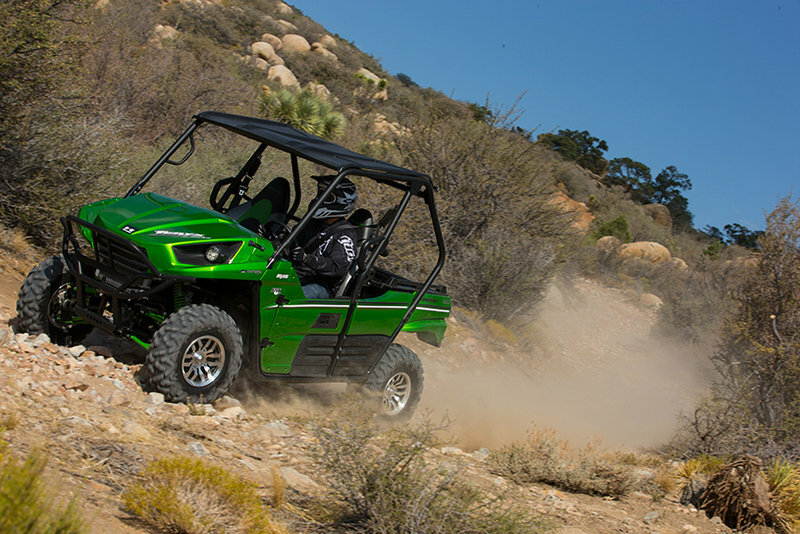 Meet the 2014 Kawasaki Teryx LE, a tough vehicle especially created for tough drivers. 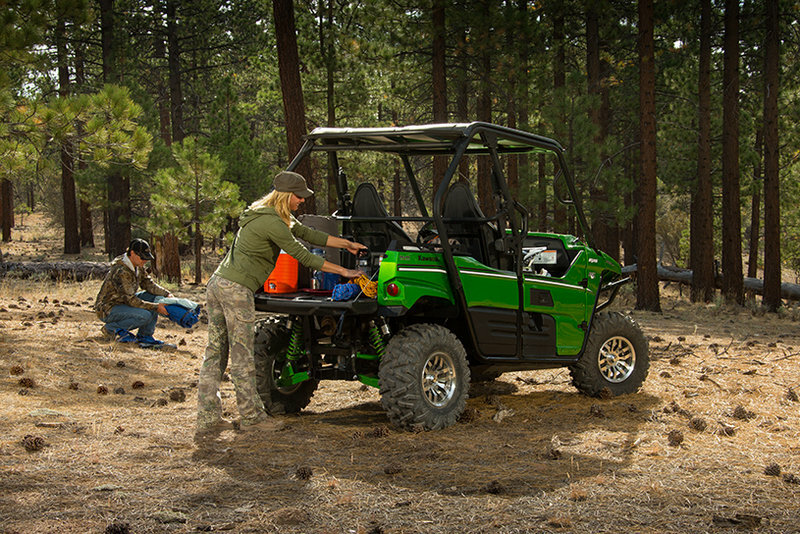 For 2014, the Kawasaki Teryx LE comes with a comprehensive list of improvements. Needles to say that the LE model comes with all the equipments offered for the standard Teryx model and ads a series of extra features which give it a pretty unique personality. 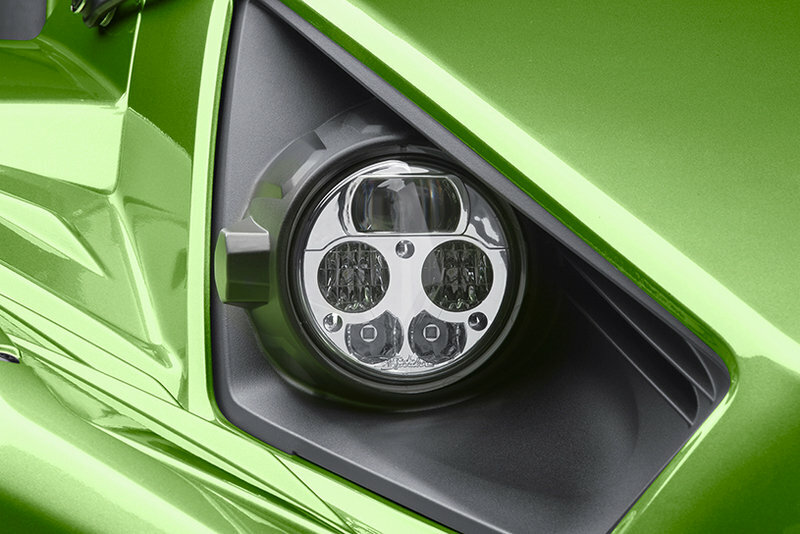 Among them you’ll find highi intensity LED headlights, a tubular steel brush guard and lightweight cast aluminum wheels. 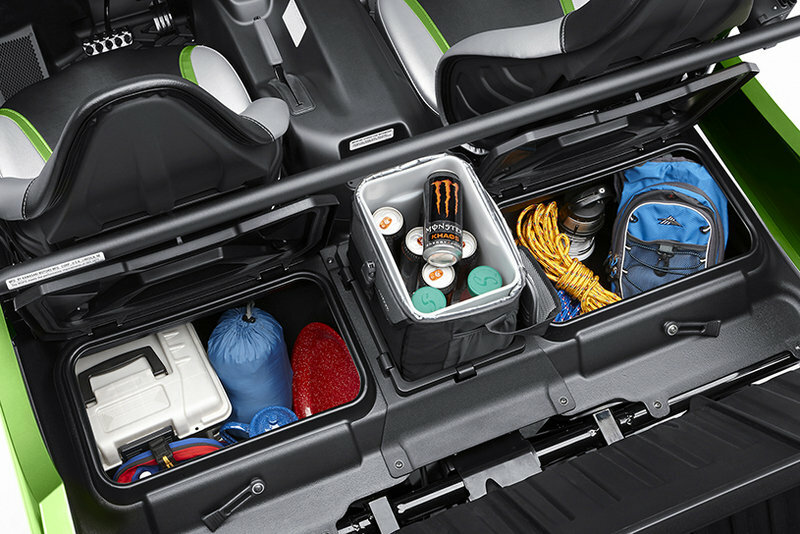 You also get a handy cab roof/sun top, Candy-colored Lime Green bodywork and 3-tone high-backed bucket seat covers. 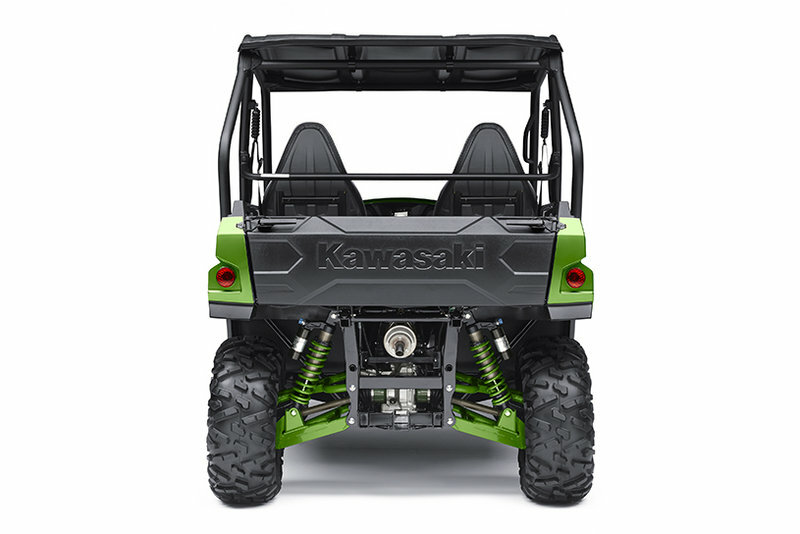 At the heart of the 2014 Kawasaki Teryx LE sits a larger 783cc, digital fuel-injected, 90-degree V-twin engine that delivers more power than the previous unit and at the same time is also slightly more efficient. More upgrades were made to the chassis, suspensions and frame. 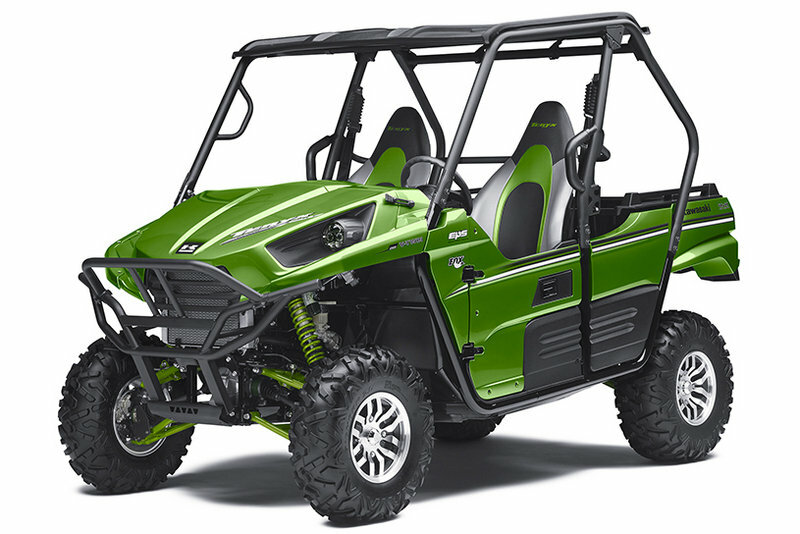 Hit the jump for more information on the 2014 Kawasaki Teryx LE. 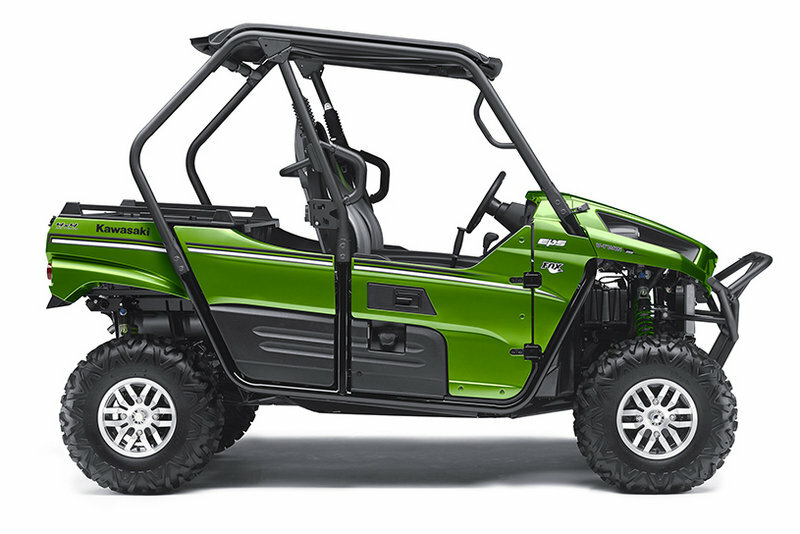 The all-new 2014 Kawasaki Teryx® LE isn’t for everyone, and it doesn’t pretend to be. 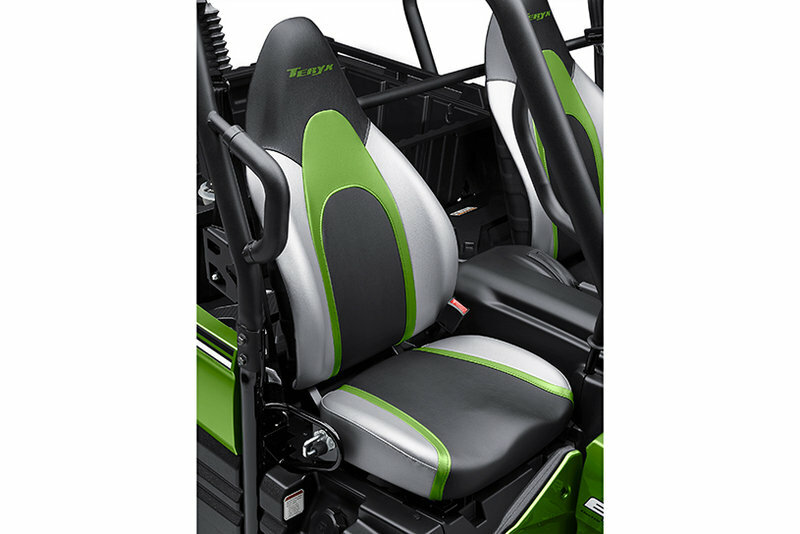 Kawasaki’s most exclusive two-seat Side x Side features all of the standard features that make the rest of the Teryx line the strongest and most reliable Side x Sides money can buy: a high-performance V-twin engine boasting a massive power increase, a rugged all-new larger chassis and premium FOX Podium high-performance shocks. 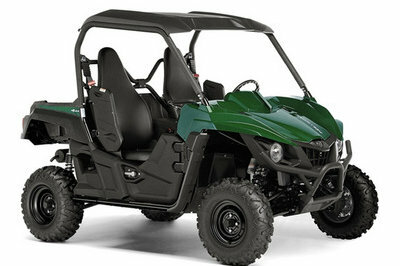 But the Teryx LE’s custom styling and features are a cut above even its well-appointed siblings. Attention-grabbing custom touches give it an unmatched presence in the desert, the dunes, the mountains or the forest. Drive an LE, and you’re bound to be noticed wherever you go! The Teryx LE side x side’s character-filled, purpose-built 90-degree V-twin is revered for its fantastic sound, stump-pulling power and amazing flexibility. 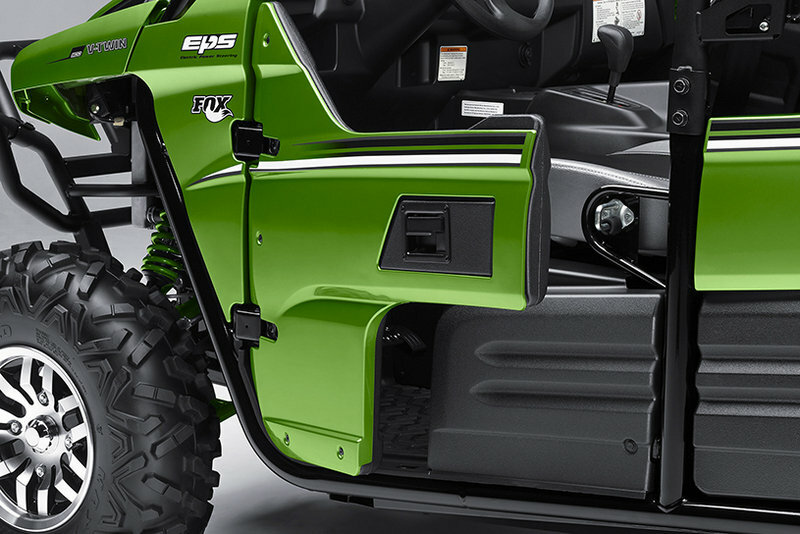 For 2014, it packs more power than ever thanks to a substantial displacement bump from 749cc to 783cc. 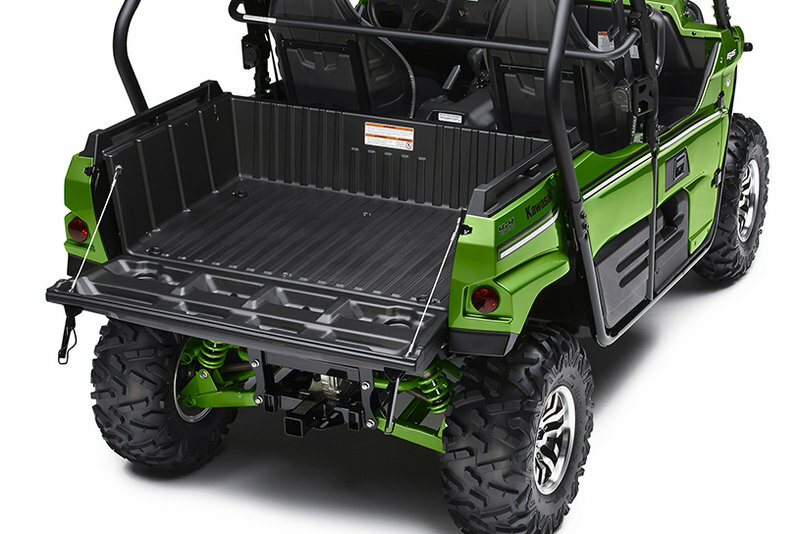 Those extra cubes generate a whopping 26% more power and 12% more torque right where you need it, in the low- to mid-range, which makes short work of scrambling up steep hills, stomping through mud bogs and crawling over rocks. 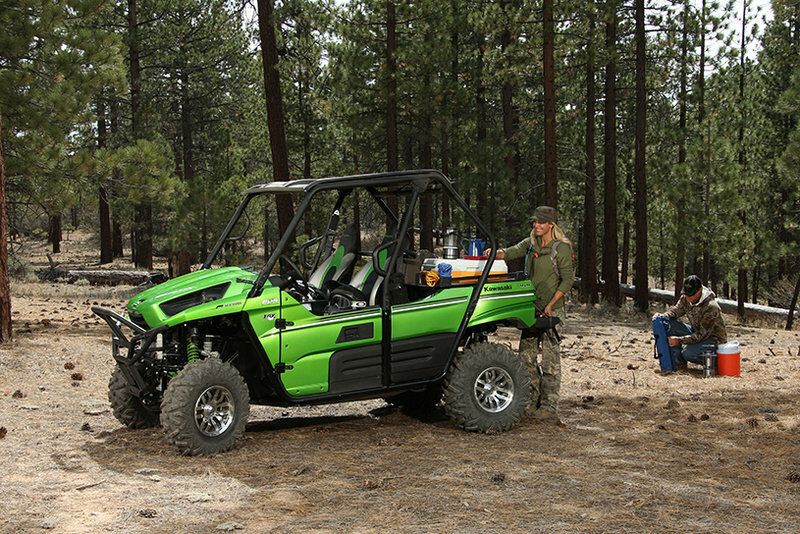 The 2014 Teryx does all this while delivering better fuel efficiency than the old engine for even more driving time between fuel stops! • NEW Larger 783cc SOHC, four-valve-per-cylinder, digital fuel-injected, 90-degree V-twin pumps out 12% more torque over a broad spread of the rev band, plus 26% more power, especially in the low-range and mid-range, precisely where a Side x Side needs it.